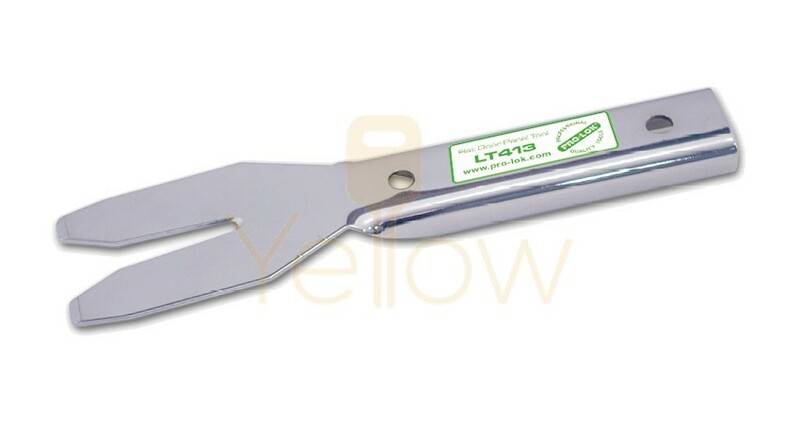 The Flat Door Panel Tool is a “spatula” style door clip remover. The tool slips around the base of the door clip, between the car door panel and the steel door, to allow you to carefully pry the door panel clip free from the door. Made from machined steel with a chrome finish.